We’d love your help. 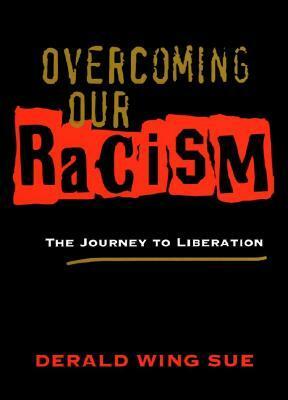 Let us know what’s wrong with this preview of Overcoming Our Racism by Derald Wing Sue. To ask other readers questions about Overcoming Our Racism, please sign up. If this book doesn't make you angry, then there is something wrong with you. However, by becoming angry you will examine things in a different light. You are not bad, but you must become aware of things in the world to help ensure you don't become a racist. Challenging, but worth it. This book really challenged me in the best way possible and completely opened my eyes. I could discuss the pros and cons of the book for days but let's just leave it at I am the person I am today (and continuously evolving) because I read this book. This was the most personally difficult book for me to read, as it challenged what it means to be White, but the most rewarding and ultimately freeing book for me. I am currently re-reading this book in order for me to teach my students about awareness of racism within themselves. An essential look at how the racism has and continues to shape society. Sue obtained his bachelor's degree from Oregon State University, and then a MS and PhD in counseling psychology from the University of Oregon. He has written numerous publications on various topics such as multicultural counseling and psychotherapy, psychology of racism and antiracism, cultural diversity, cultural competence, and multicultural organizational development, multicultural competencies Sue obtained his bachelor's degree from Oregon State University, and then a MS and PhD in counseling psychology from the University of Oregon.